Much better at ranking up in a unit, if somewhat stiff and unimaginative in the single pose offered. I used the arm with severed head for the champion instead of the pointy fingered arm. 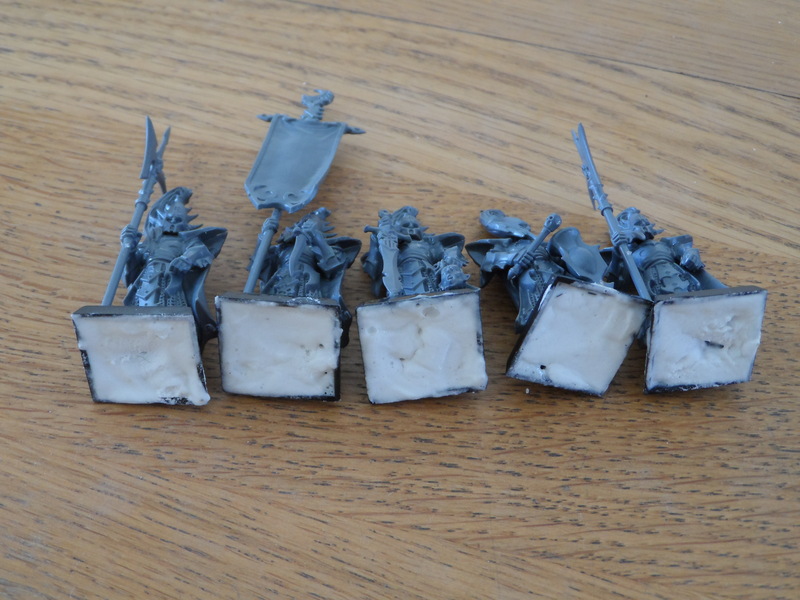 For some reason I was one arm short for the rank and file, and looking at the sprues seems I’ve got a command sprue too many. I phoned the local GW store and am going in at the w/e to get a replacement (and an extra box). 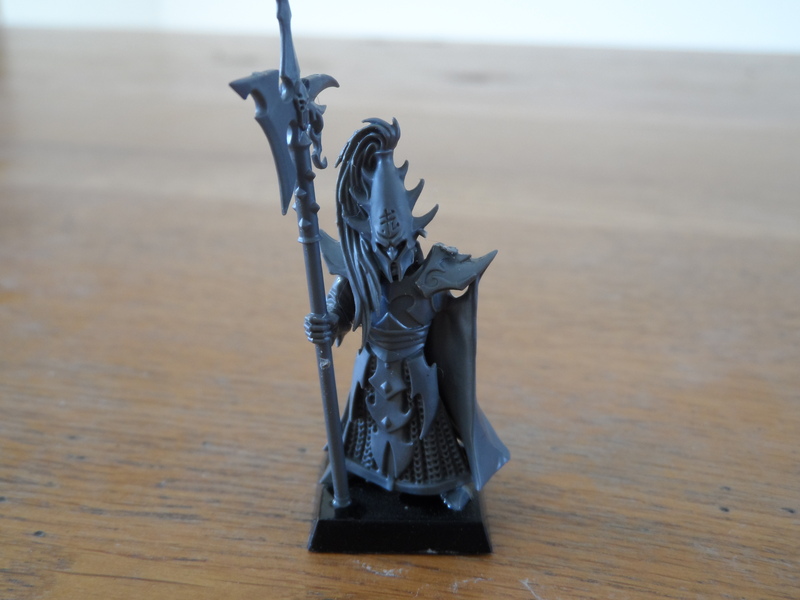 As I joked with the GW manager I couldn’t field the unit lest I have endless jibes about Black Guard being armless. I’ve decided to weight all the bases of plastic figures from now on. 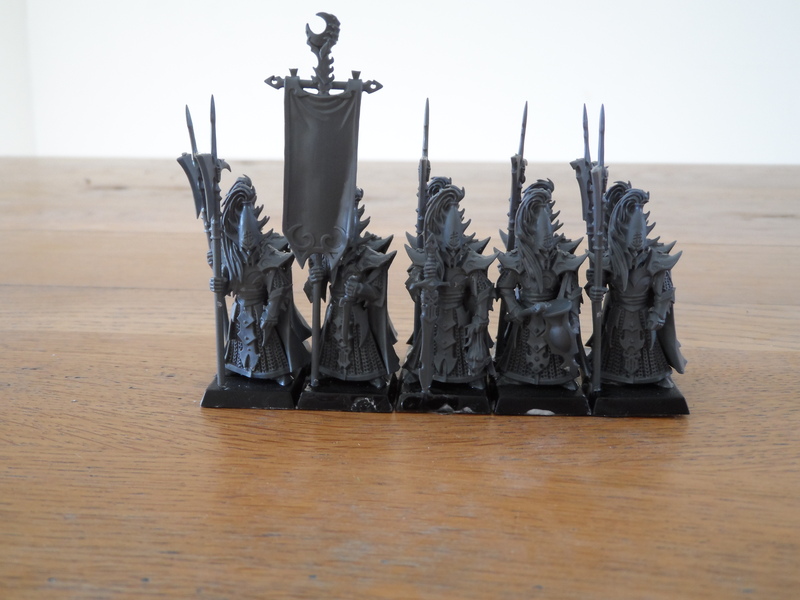 These look compatible wuth the CoK which are next up…I’m really fed up of piles of sprues of unfinished models !